Get Your Digital Copy of Phil Dutra’s Latest EP RIGHT BEHIND THE RAIN for just $6.95! Click Here To Download “Right Behind The Rain” Now! Austin, TX based Singer/Songwriter Phil Dutra delivers some of the most memorable pop tunes of the past several years. Phil’s EP “Right Behind The Rain” has garnered much praise. Phil’s Song by the same name “Right Behind The Rain” was recently placed in the Warner Brother’s Romantic Comedy “Something Borrowed” Starring Kate Hudson, John Krasinski, Ginnifer Goodwin and Colin Egglesfield. His song “She Walks Away” won the National Michael Lloyd song contest at the TAXI Road Rally held in Hollywood, California. 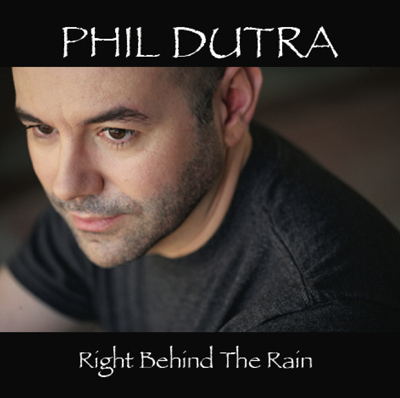 So click the Download button below and get instant access to Phil Dutra’s latest album, “RIGHT BEHIND THE RAIN” and discover why fans worldwide can’t stop talking about Phil’s music. You will receive a digital download of “Right Behind The Rain” via email, immediately after placing your order.